Nachos are great, right? What if I told you that there is a wonderful way to make nachos that is unlike anything you’ve ever tried? These delicious Irish nachos are a nice little twist on the original Mexican food favorite and they’re they perfect appetizer or side dish. They use potatoes instead of tortillas, which is why they’re Irish nachos, and they’re absolutely filled with flavor! I love a good appetizer recipe; just take these fried cheese sticks with buttermilk sauce for instance. I just can’t get enough of these. I am also a huge fan of Mexican food, which is why I decided to try these nachos. They give you that great nacho flavor but with a wonderful twist. 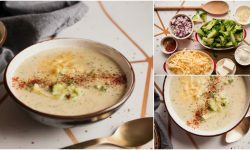 With potatoes, thyme, paprika, and bacon, you’re going to love these as much as I do and your family will practically lick the platter clean! 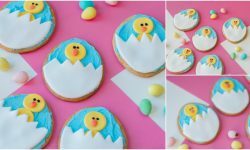 I really love how easy these are. 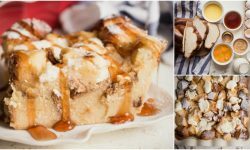 I tried them for game night – watching sports are another huge favorite in my house – and they were an instant hit. 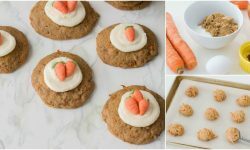 You can use the recipe to create a wonderful appetizer or even use it as a side dish to pair with your favorite entree. They would go really well with this cheesy cabbage casserole or any main dish where you want a really flavorful side dish. 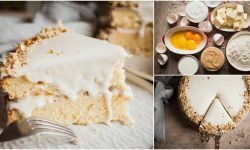 The recipe serves four but you could easily adjust it to feed more or less. It’s also a really easy recipe to make and it takes less than an hour from start to finish. 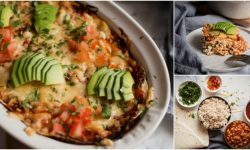 If you’re looking for a great new appetizer or side dish recipe and one that is really unique and filled with flavor, these Irish nachos are a must. 1. Preheat your oven to 230 degrees C (450 F). 2. Wash, scrub and dry your potatoes. Using a sharp knife or a mandolin cut the potatoes into 1/4 inch (0.5 cm) thick rounds. Mix with salt, paprika, thyme and olive oil. 3. 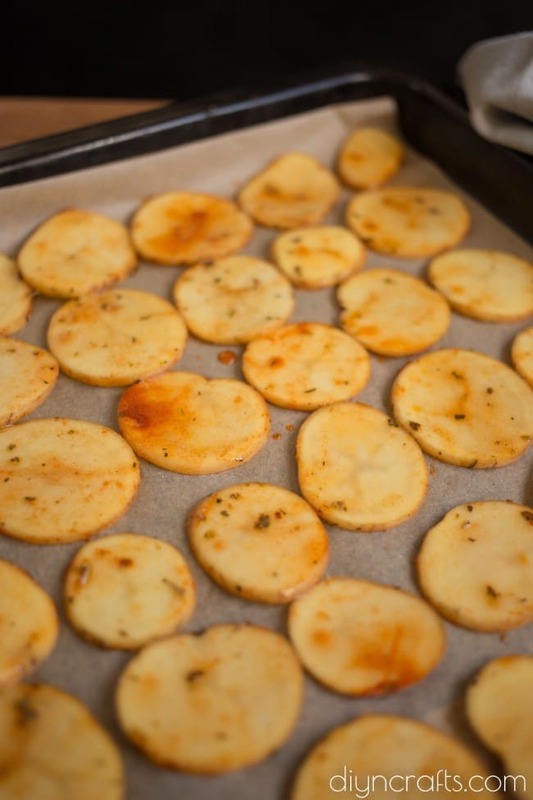 Cover baking sheet with parchment paper; place the potatoes out in a single layer. 4. Bake for 15 minutes, flip and cook for 15 minutes more. Fry bacon in the meantime. 5. Transfer nachos into a round pan slightly overlapping. Top with fried bacon and shredded cheese. Return to the oven for 2-3 minutes more, until cheese melts. 6. Serve with sour cream, chopped fresh tomatoes, onions and fresh cilantro leaves. 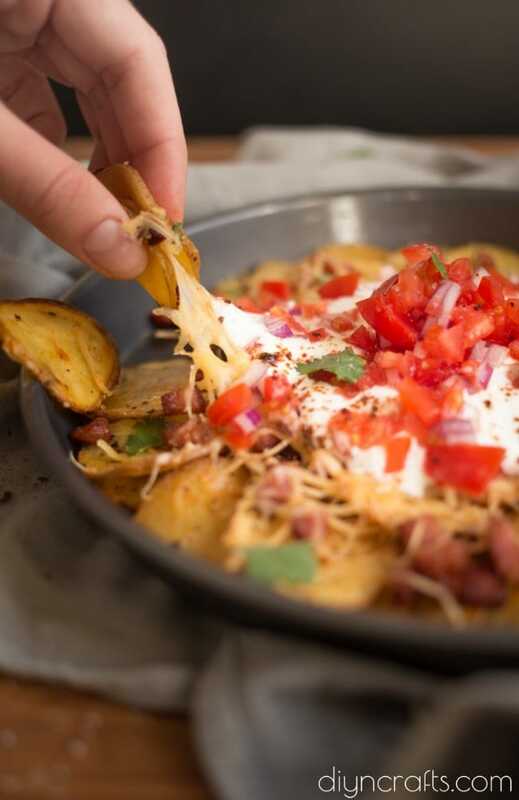 Fresh potatoes add a nice twist to this nacho recipe. 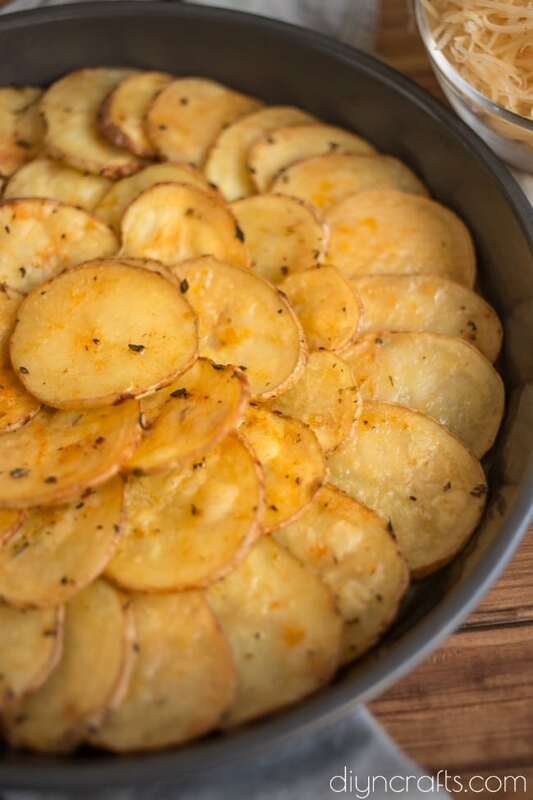 Cut potatoes and bake – turning once to brown both sides. 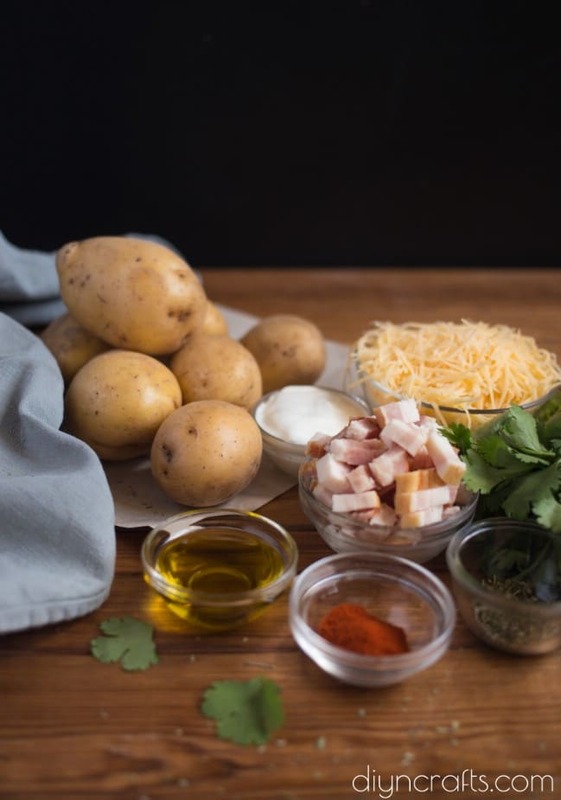 Layer potato “nachos” with cheese and bacon. Top with sour cream, fresh tomatoes and any number of other nacho ingredients. 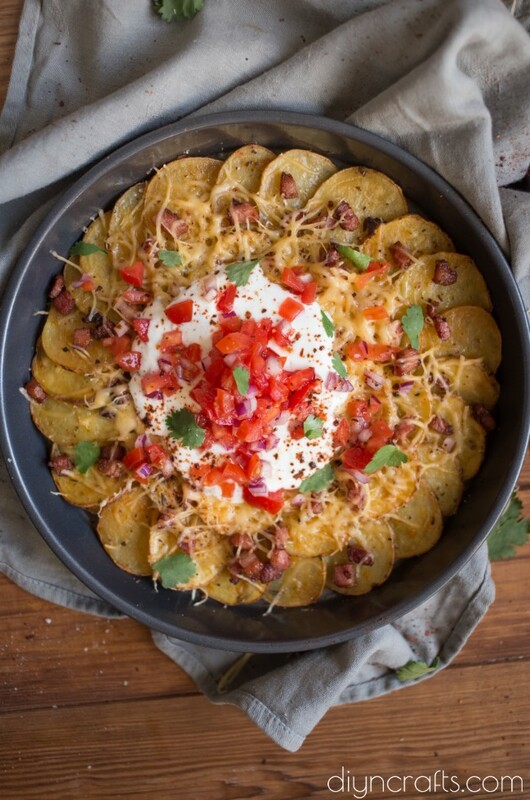 Crispy potatoes make the perfect nachos in this tasty dish. Nachos are great, right? What if I told you that there is a wonderful way to make nachos that is unlike anything you’ve ever tried? These delicious Irish nachos are a nice little twist on the original Mexican food favorite and they’re they perfect appetizer or side dish. Preheat your oven to 230 degrees C (450 F). Wash, scrub and dry your potatoes. Using a sharp knife or a mandolin cut the potatoes into 0.5 cm (1/4 inch) thick rounds. Mix with salt, paprika, thyme and olive oil. Cover baking sheet with parchment paper; place the potatoes out in a single layer. Bake for 15 minutes, flip and cook for 15 minutes more. Fry bacon in the meantime. Transfer nachos into a round pan slightly overlapping. Top with fried bacon and shredded cheese. Return to the oven for 2-3 minutes more, until cheese melts. Serve with sour cream, chopped fresh tomatoes, onions and fresh cilantro leaves.